Cincinnati Financial is EVERYTHING INSURANCE SHOULD BE. Four independent agents formed The Cincinnati Insurance Company in 1950; their commitment to the independent agency system became their core strength and continues as their most important competitive advantage. their mission places independent agents at the center of their identity, recognizing that locally based agents have the relationships that lead to satisfied, loyal policyholders and profitable business. This approach has produced above average profitability and growth of shareholder dividends, benefiting from their low expense field structure. Empowered field representatives work out of their homes in the same communities as the agents and policyholders they serve. 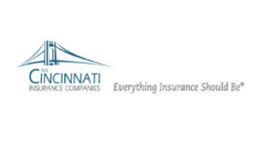 The Cincinnati Insurance Companies continuously strengthen service by offering agents and policyholders a stronger local presence, unparalleled claim service, work-saving technology initiatives and competitive products, rates and compensation.